Give a gift that will change someone's life! Each gift card is beautifully designed and comes in a gift envelope. 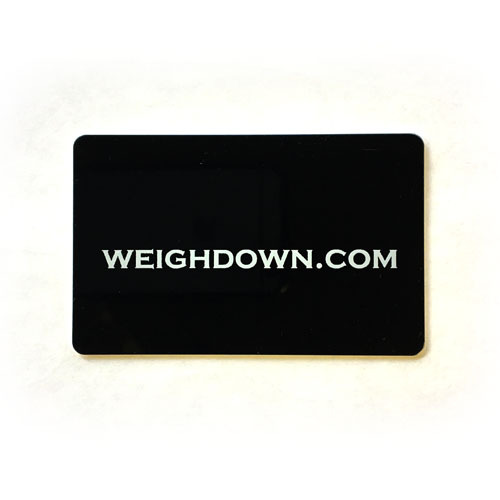 *Weigh Down Gift Cards are not returnable or refundable for cash. If you decide to return merchandise that you purchased using your Weigh Down Gift Card, the refunded amount will be credited directly back to your Weigh Down Gift Card.